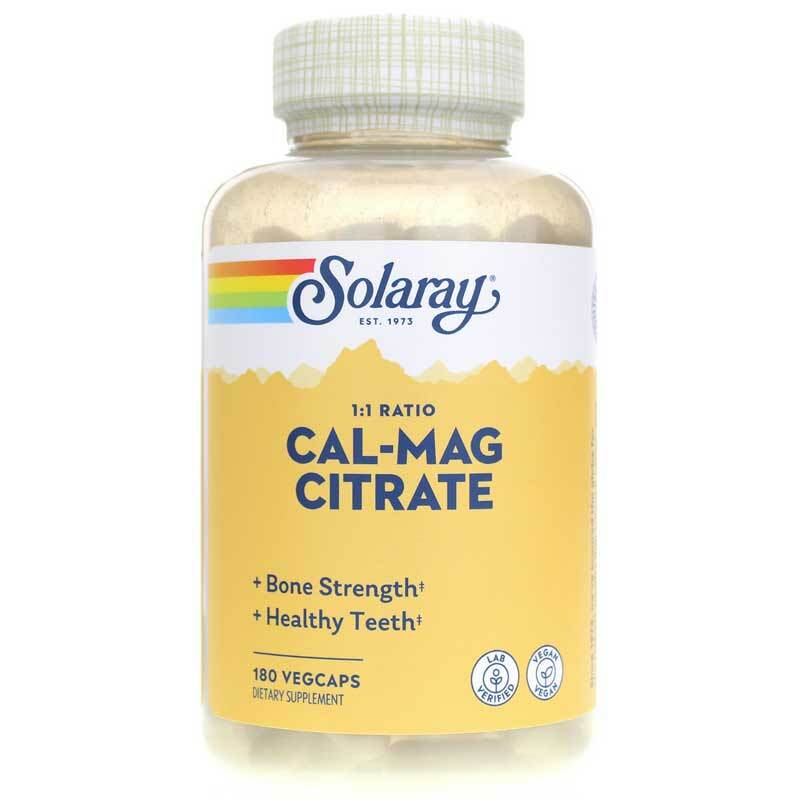 Cal-Mag Citrate 1:1 from Solaray contains a blend of the essential minerals calcium and magnesium and vitamin D to support optimal health. 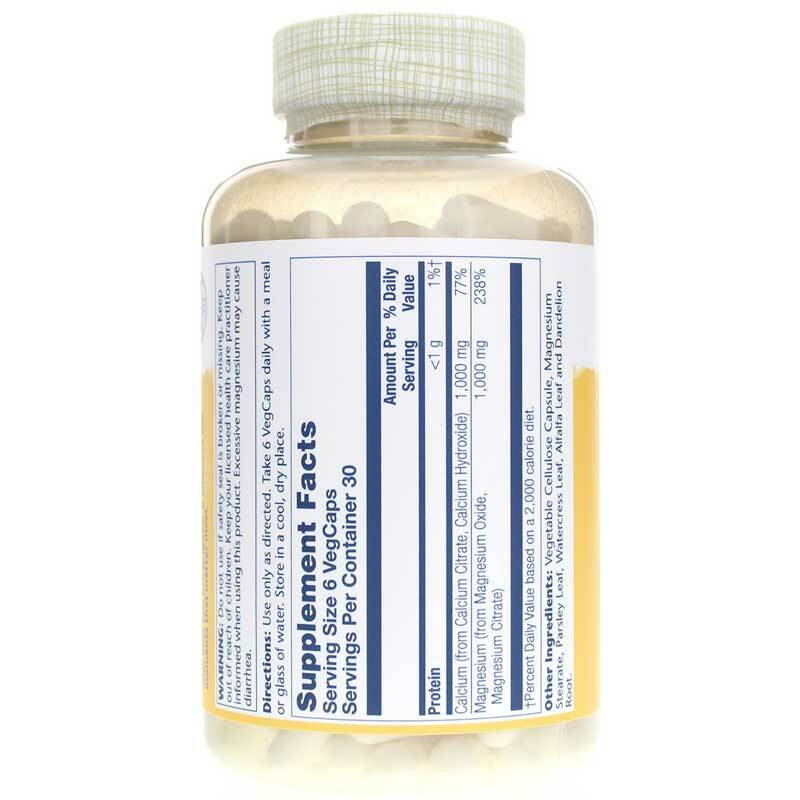 Calcium and magnesium are essential minerals that interact to support your health. However, many people do not get enough of these nutrients through their diet. Adults: Use only as directed. 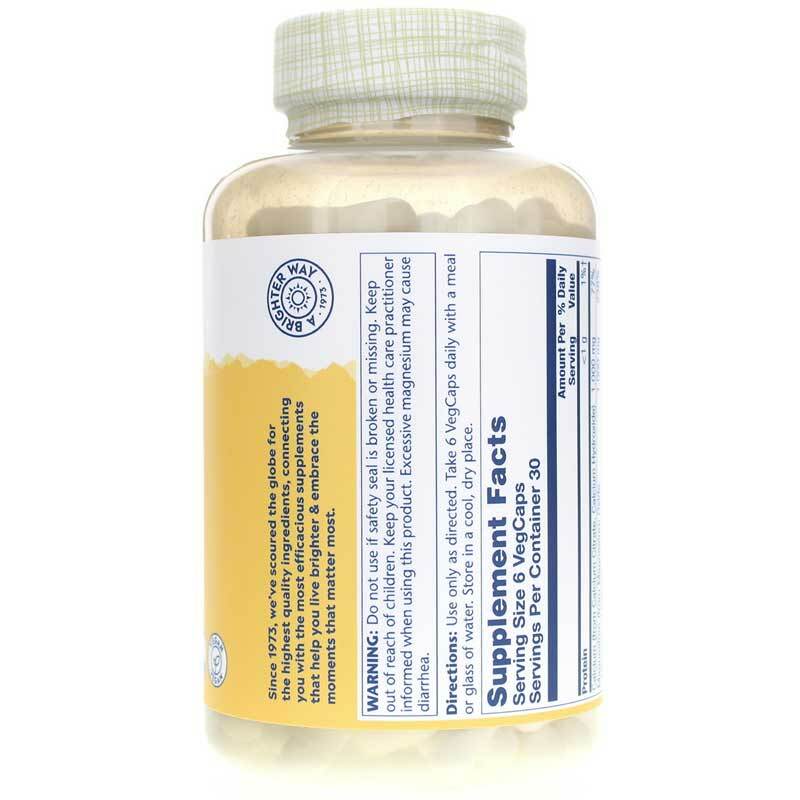 Take six VegCaps daily with a meal or glass of water. Store in a cool, dry place. These capsules have done the job I ordered them for. Couldn't be more pleased.